there's the trident. 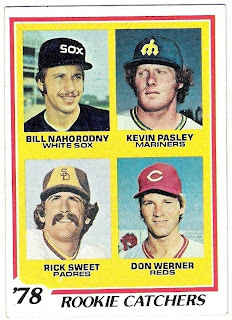 at least pasley made it to the top row on his second card. i also used a mike scioscia card to get the jersey on pasley, and i am just now realizing that i forgot to change the number. pasley wore duke snider's number 4 while with the dodgers, as it was not retired until the duke made the hall of fame in 1980. i did eventually find a black and white photo of pasley wearing a dodger uniform, and took a shot at colorizing it. at least the number is right. 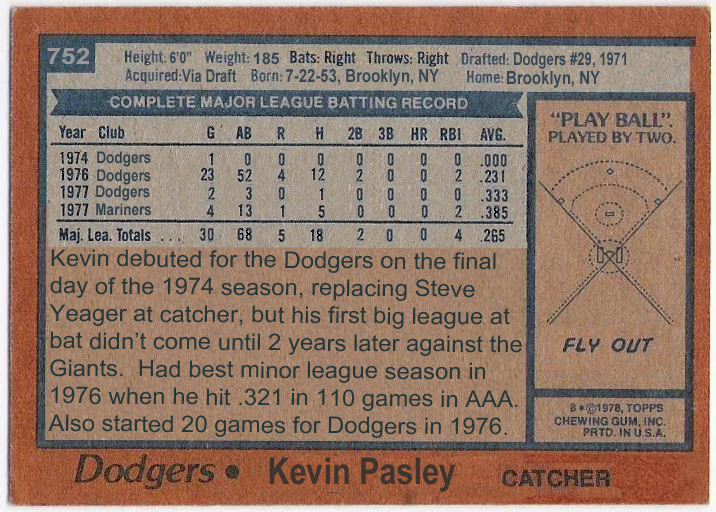 as a dodger, pasley had mixed success. 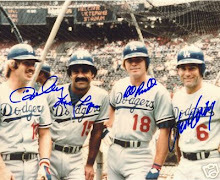 his path to the big leagues was blocked by steve yeager and joe ferguson, and then by other veteran backups like ellie rodriguez, johnny oates, and jerry grote. 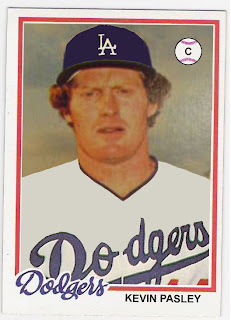 he did get to play in 23 games during the 1976 season when steve yeager was injured, and wound up hitting .231 with 2 rbi. 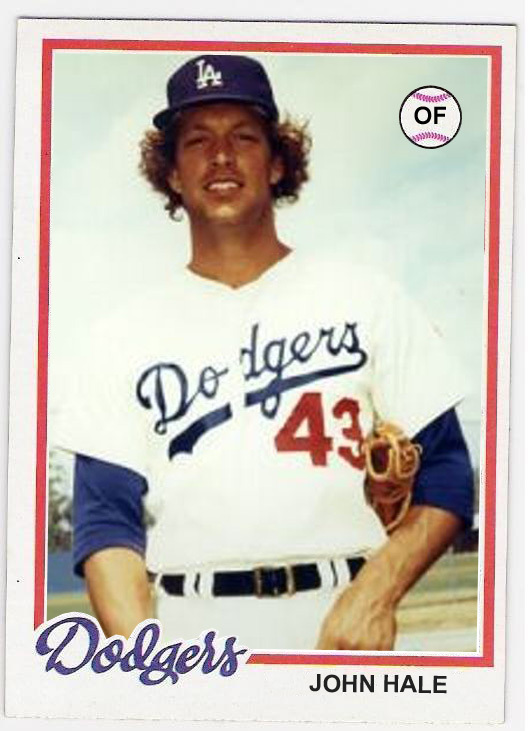 behind the dish, he threw out about one-third of the runners attempting to steal against him. 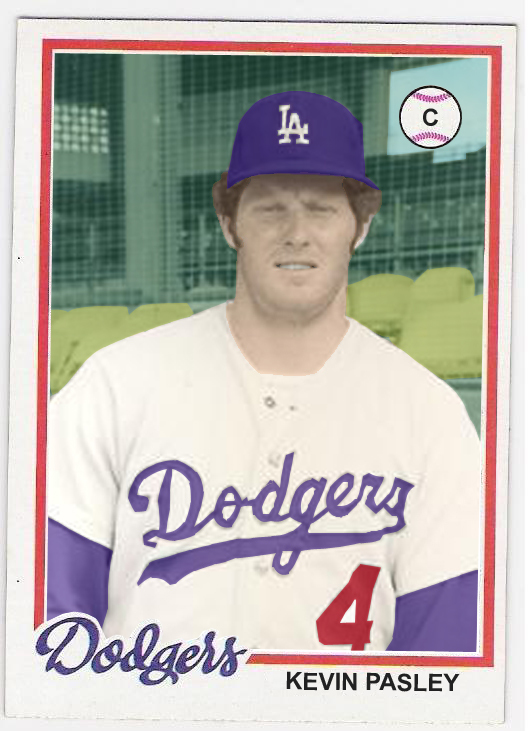 he was 1 for 3 in the two games he played as a dodger in 1977, and then went 5 for 13 in seattle to post a .375 average for the season. 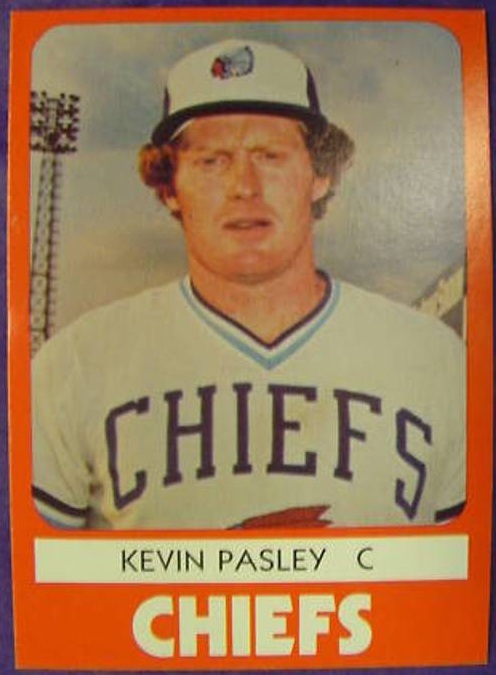 in 1978, pasley appeared in 25 games but hit just .241. he did have 5 doubles and also hit his lone career home run - a two-run blast off of hall of famer fergie jenkins. 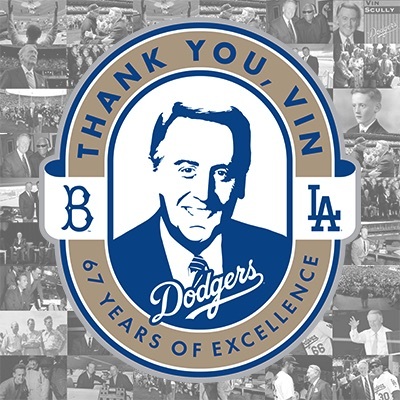 that long ball put pasley in the company of ted williams, ken mcmullen, and joe rudi as well as a few others i am sure. 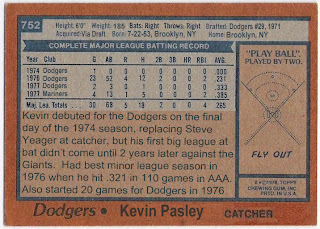 that's because pasley hit his home run in his final big league at bat. after the season, pasley joined the pirates' organization and then spent 1980 and '81 in the blue jays' system. 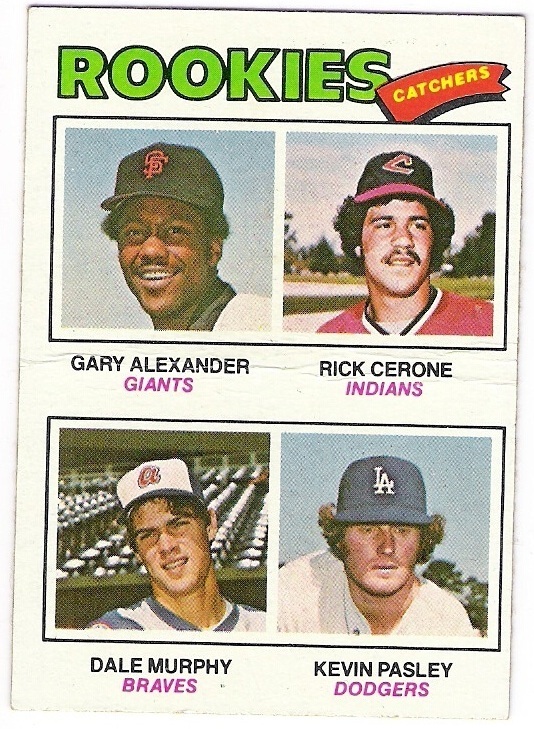 his last season in the minors was 1982, which he spent with the tigers' aa and aaa affiliates. 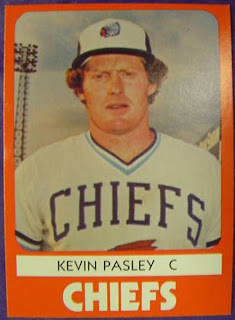 here's to you kevin pasley, and your card that should have been! 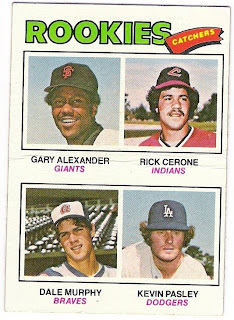 He was my parents real estate agent when they sold their house in Phoenix in the late 80's. 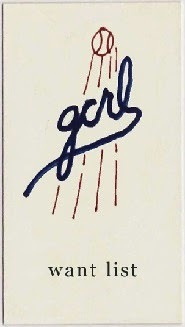 that is pretty cool. did they know who he was? franklin stubbs through the mail successes! ed vande berg through the mail successes! who needs a twins autograph party? mariano duncan through the mail success!